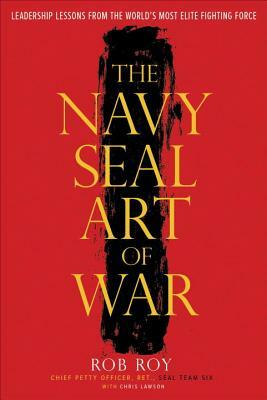 Rob Roy, Chief Petty Officer, spent twenty years as a Navy SEAL (including service on the legendary SEAL Team Six) before founding Sot-G, an eighty-hour intensive leadership course that uses military combat training to teach executives and managers the leadership skills they need to succeed in business and in life. The program has been featured in the Wall Street Journal, Entrepreneur, and Inc.
Chris Lawson is the speechwriter to the Secretary of the U. S. Army, the Honorable John McHugh, and was previously the chief civilian speechwriter for Gen. Martin Dempsey, the Chairman of the Joint Chiefs of Staff. Lawson a former national security journalist for Gannett, as well as the former managing editor for the Army Times and the Navy Times, and a former managing editor for Men’s Health magazine. He served for six years as a Marine Corps Combat Correspondent, from 1985 to 1991, and was the Corps’ Journalist of the Year in 1989. He lives in Northern Virginia with his wife and family.